Doesn’t this look Yummy!! 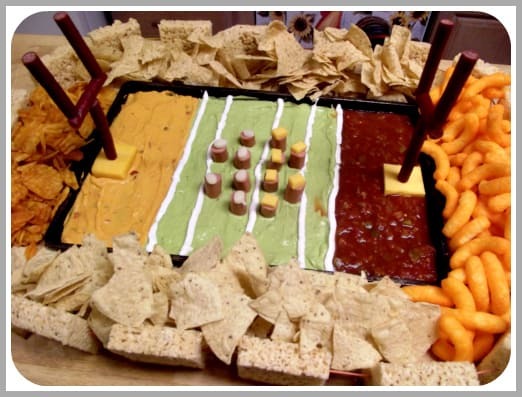 It is perfect for the Superbowl or any game day football party! Filled with yummy goodness and it looks super awesome too!! You could also add things like brownies if rice krispies are not your thing. There are many ways to change it up and customize it to your taste! My homemade Guacamole recipe would be awesome in this dish! !